Cupcake lovers, rejoice. 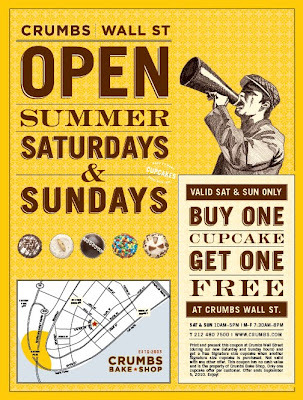 Every Saturday and Sunday until September 5 you can enjoy a special buy one get one free deal from Crumbs Bake Shop in the Financial District. Click on the pitcure above, PRINT, and take to the shop to redeem.